Let’s take a quick poll. When was the last time your boss asked you to do something and you didn’t question why you needed to do it a specific way? You see, sometimes we just assume that the old way of doing things is the right way. But every so often, we forget to test what’s right under our noses. It all started with one simple question: What types of content resonate with what types of leads? In other words, does the early stage content you have work for early stage leads? Or would it work better for late stage leads? Or does the content even work at all? In every database, there are three types of leads. You have the folks that are brand new and have yet to learn about you or your product. Then you have folks that have an idea of who you are but aren’t yet ready to buy. Lastly, you’ll have folks that are well-educated, interested in evaluating your product, and could potentially buy from you. Each of these stages maps to a content stage, which is often how marketers define and guide the buyer’s journey. The bulk of your database is most likely early stage leads because we tend to have more people that aren’t yet ready to buy from us than those that are pulling out their checkbooks. Sad but true. Now let’s define how marketers tend to think about the stages of content. Early: Content that builds brand awareness —it’s fun, engaging, and doesn’t have a hard sales message for either your brand or product. Mid: At this stage, the content is focused on educating the audience. It introduces the product in the context of the market, explains why it’s the best product, and how it can provide a solution to your company. Late: At this stage, we assume that the lead has already been educated enough on the product to make an informed decision. This content helps sell the product by helping the buyer make a purchase decision. Let me tell you a story of how I came to believe that marketers are missing something here. And like any good story, I will tell it in chapters. 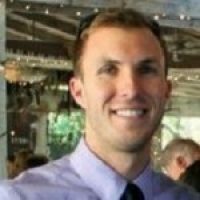 A couple months ago, I was preparing to speak on a webinar called 3 Hacks to Boost Email Open Rates. From my perspective, this was primarily an early-stage webinar but our normal process would be to promote it to all leads in the buyer’s journey (early-, mid-, and late-stage). 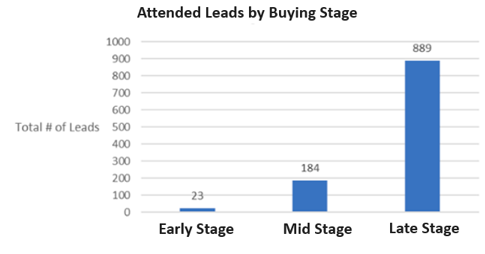 After the first email invite deployed, I became curious to know what types of leads were registering for this webinar, particularly if they were, in fact, early-stage leads. Chapter 2: Is the Test Repeatable? Feeling like my world had been turned upside down, I went back and reviewed the webinar program for the 8 Biggest Mistakes Social Media Marketers Make, which was another early-stage webinar that took place the month prior. The exact same pattern appeared! 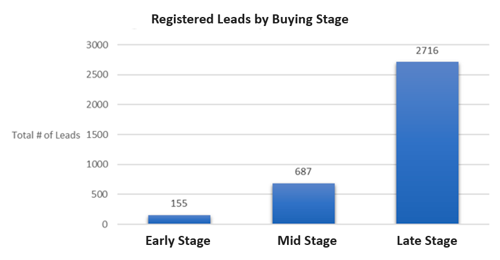 Despite this being what we believed to be another early-stage webinar, most registrants are late-stage leads. But what about the attendees? What happened to the attendance rates? 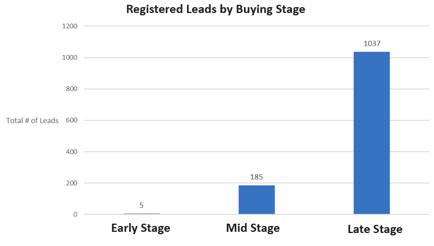 Armed with surprising new data about registrations, I thought I would break the data down further by looking at email performance by buying stage. If it wasn’t clear before, it was now. Leads that are still early in the buying cycle are not ready for a webinar, no matter the topic. This was the perfect example of why we need to test everything. Only after this webinar analysis did I truly understand what content format is resonating with leads at each stage of the buying cycle. I started this blog making the bold statement that what you thought about content marketing might not be true. How we, the marketers, define what is early-, mid-, and late-stage content may not actually hold up once it hits our target market. So, what are the lessons here? Listen to your audience. No one knows your audience better than your audience. They will tell you what is working and what isn’t. Having strong intuition is a wonderful quality in a marketer, but pushing that intuition aside to humble yourself through data and make a shift in your marketing strategy is a better quality. Buying stages should be called investment stages. An early-stage lead cannot invest in a webinar. They don’t know enough about your brand, your product, or your vision to give you 1 hour of their work day. You might as well be asking them for a credit card number while you’re at it. The leads that are willing to make the investment with you are the ones that are listening, which takes time and patience. Your marketing efforts need to open their ears first before you can push them heavy content, even if the topic is early stage. Also, this goes beyond webinars. At every stage of the buying cycle, think about how easy or difficult it is for a buyer to access your information. Your goal shouldn’t be to feed them content that you deem as early-stage but to feed them consumable content that will open their ears, hearts, and ultimately their wallets. Raise your hand and ask questions. Just because “that’s the way we’ve always done it” doesn’t mean that it’s right for the business. Let the data be your single source of truth. Seek answers in numbers, not just in your gut. The end. What does this make you think about your content strategy? Do you have any ideas how to make content more relevant for each stage of the buyer’s journey? Please share your thoughts below!